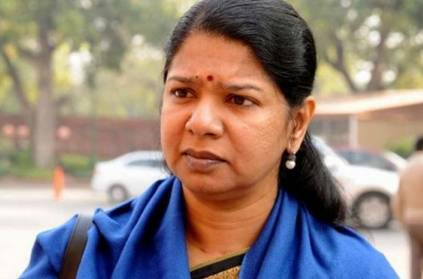 Soon after the cancellation of Lok Sabha polls in Vellore constituency, IncomeTax team is reportedly raiding at Kanimozhi's Tuticorin residence. The Election commission's flying squad is said to be accompanying the IT team. DMK's chief and Kanimozhi's brother, M K Stalin has said "BJP is using IT raids to put pressure on opposition, especially on DMK." Kanimozhi was contesting for DMK against BJP's Tamilisai Soundarajan in Tuticorin constituency. The election is set to happen on 18th April. Campaigns have been stopped from today evening, 16th April. It is noteworthy that Vellore constituency election has been cancelled as a result of the huge cash haul found during an IT raid in another DMK member's warehouse. This page contains news relating to various facts and events. The views are generally about current affiars and general topics in diversified areas such as political, international, national, and regional issues, sports, health, travel, lifestyle, technology and business. People having similar interets on the above topics will find this page useful. IT raid in Kanimozhis Tuticorin residence | Tamil Nadu News.